What to do with your Old Android Phone or Tablet? I buy a new Phone every 6 months and once it gets old I normally gift it to my family members. There must be some gadget savvy people out there who must be purchasing new Phones every now and then and would be thinking about what to do with new Phone. I am here with some ideas about how you can use your old Android Phone. Well, this is easy with an Android device and Windows PC. You just need to download and configure SoundWire server on PC and SoundWire app on Android. It was useful for me when I have a wireless keyboard and Mouse but do not own a good Wireless headset. I connected my PC to my 32 inch LED screen and I needed to play game from a distance. This Wireless Headset setup helped me a lot to enjoy gaming on the big screen. Android is awesome when comes to usability, there are lots of apps on Google Play Store. Droid NAS for Android is a simple app that can convert your Phone Memory to a WI-Fi Storage so that you can share folders and file over Wireless. If you enable your old Android Phone with a 32GB or 64GB Storage then its a great way to share your files. This is an inbuilt and most widely used functionality of Android Phones. You can use your old Phone to be used as a wireless Hotspot to share your 3G or 4G high speed data connections. Most of the phones allow up to 8 users to connect to hotspot simultaneously, few can allow more. My friend had a 10 inch WI-Fi Tablet but he recently purchased an iPad Mini and lost interest in big tablet [Battery was dead too]. I suggested him to mount it in the car. And then he starts loving the Tablet again. 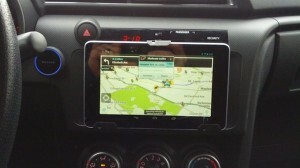 While driving he connects a 3G Dongle and use it as GPS Maps. His Kids watch videos on it or listen to music. 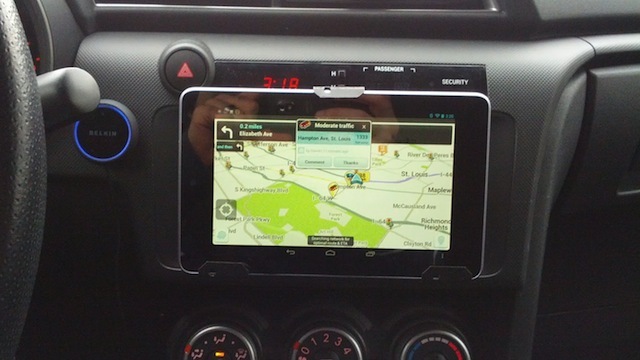 The Tablet was made reusable again, you just need a car mount, DC adapter charger and a wire plug in the tablet of your car music system using Audio Jack. This is a full fledge Car entertainment system. 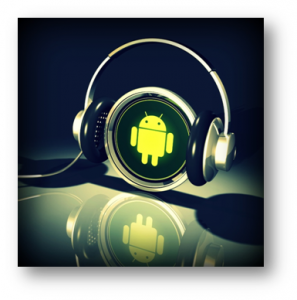 There are lots of apps and tutorials available on the internet that will tell you how to convert your Android Phone into a Windows or Mac remote control. You can control Torrent Clients, Media Player etc. Using Your Phone. You are a web developer, cool. Just turn your old Android Phone into a web server using the below tutorials created by most reliable Android developer forum XDA. You can show your development to anyone who can connect to your phone using WI-FI and open the localhost website. You can also connect a Bluetooth keyboard to your Phone and Tablet and start programming anywhere. When I connected my PC to big screen TV I created a portable headset out of my Android phone. But if you have a big screen Tablet or Phone, you can make it a Bluetooth or WI-Fi Keyboard as well. AndroMouse for Android is a cool app that can convert your Device to portable Wireless keyboard or mouse anytime. You talk a lot on Skype or Google Plus. Need a webcam for Hangout, Droidcam for Android can convert your Phone or Tablet into a webcam. Well this may sound silly at first as Skype or Google plus hangout can be used on Android Phone as well, but it drains a lot of battery and data. You can have a Video chat on your PC using your Phone as a webcam. You can also try removing non-useful app and optimize your Android device for better performance. 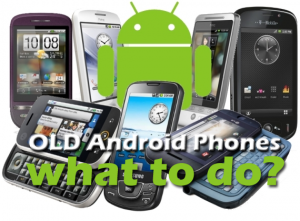 I have tried to list almost all the ways you can use your old Android Phone. If you still do not find your favorite way then the best thing I can suggest is to gift your old device to any needy family member or friend. We would love it if you have any suggestions or tips to share.